the Edge of an Endangered Planet. The 2nd edition is currently available on Barnes and Noble Nook and Kindle. John was also the guest speaker for the Colorado White Water Association fall dinner in Golden where he had a very successful book signing. Dancing on the Edge of an Endangered Planet portrays the life of a poor farmboy who has a very strong love for the environment and believes in following his dreams. These dreams have taken him on a lifelong journey of adventure and exploration that covers six continents and five extreme sports. 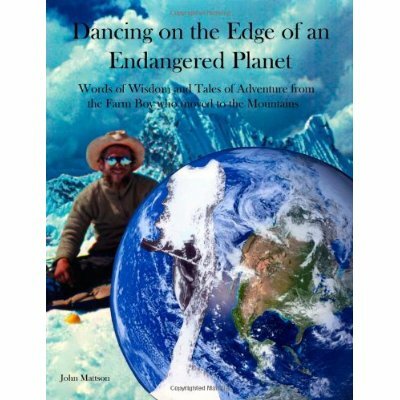 The book includes twenty-six thrilling adventure stories that span the globe and include kayaking many of the world’s deepest canyons, climbing some very famous mountains, freestyle ski jumping, downhill ski racing, and western rodeo.